You are at:Home»Herbs»Ipomoea nil Linn. Latin name : Ipomoea nil Linn. Description : The seed is acrid, anthelmintic, antifungal, antispasmodic, blood purifier, cathartic, diuretic, laxative and purgative. 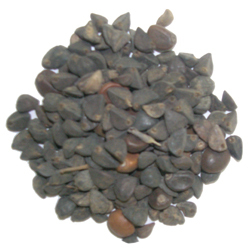 It is used as a purgative in cases of gastric disorders, constipation, headache and worms. It is also useful in flatulence, oedema, ascites, fever, arthritis, rheumatism and gout.